When we struggle in our homeschooling, it’s easy to look for answers in a book, online, or from friends. The answer is usually as close as a prayer. 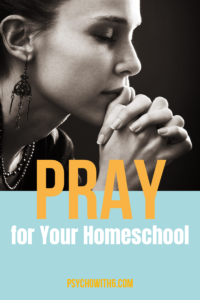 Here’s how to pray powerfully over our homeschools. Of course we can pray using any words. We can pray from our hearts. We don’t need a formula. However, sometimes we don’t have the words. 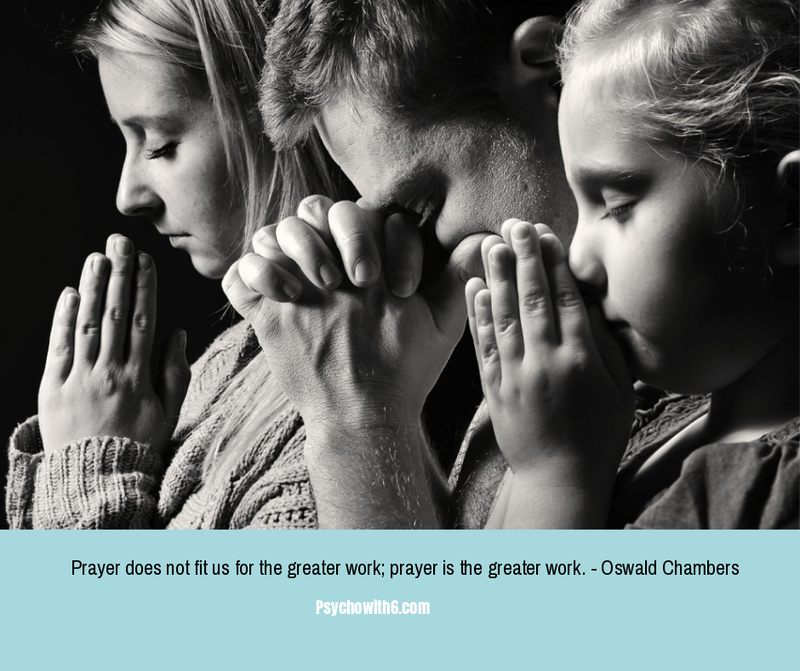 I am using the Lord’s prayer as a model for praying over our homeschools because we have it memorized. I’m including commentary on the prayer to help us think in alignment with God about our homeschooling. Please join me in praying over your homeschool right now. Some of us didn’t have loving, supportive fathers. Some of us still may not have a father who is supporting us in our homeschooling or providing loving, godly leadership for our kids. Some of us may not have believing husbands or husbands who are our partners in home education. We may feel all alone in our work and exhausted. Some of us may lack homeschooling friends, who know the challenges of the homeschooling lifestyle. We may not have anyone to co-op with, do play dates with, or just chat with on a regular basis. But each of us has a Father in heaven who is far more of an encouragement and help than any earthly father, husband, or friend could ever be. He is our father, our husband, and our friend. We often forget what holy means, which is a synonym of hallowed. Holiness means that our God is not only sinless but so awesome that in His presence we would fall to our faces. We may never have been in the presence of anything that evokes that kind of awe. I know I haven’t. God’s power and holiness aren’t just awe-inspiring though. They are available to us in our homeschooling. Every single trial and difficulty and weakness we have is tiny in comparison to the power of God. Our God is ever present with us in our homeschools. But when we pray, we experience him fully. His kingdom is characterized by the fruit of the spirit: love, joy, peace, patience, kindness, gentleness, and self-control — all things we desperately need in our homeschools. We often think about the future kingdom at his second coming, but his kingdom can be present in our homeschools today when we pray. We are often confused about what to do with a child who struggles academically or behaviorally. When we pray, we can be confident that God’s will will be done in our homeschools. Of course, God’s will is always done in our lives. But we worried homeschooling moms need reassurance. We can relax knowing that God is arranging our circumstances to ensure that His will is done in our homeschool and in our lives. Jesus is the bread of life bread and represents everything we need for life. In 2 Peter 1:3, God promises us that we already have everything we need for life and godliness. If we have more month than money, if we have need of medical care to diagnose and treat a troubling condition, or if we need friends in our homeschooling journey, we can be confident that God will give us this bread. We can go about our day joyfully, knowing that our Father in heaven cares about us and our every need. We have an opportunity every day to forgive our children for their shortcomings, their immaturity, and their foolishness just as God forgives ours. In the process of asking for forgiveness, we model for our children how they should parent our future grandchildren. We model the humility that God can use to lead others to Christ. Unlike every false God, our Father does not tempt us with things that will harm us. He does not tempt us to spend too much time online, too much money, or too much emotion on small matters. Instead, our God makes a way out from temptation. When we are ready to yell at our child for fighting with his brother once again, when we feel tempted to pull into the fast food drive-through, though we’ve already visited twice this week, or when we feel like skipping math because it makes us anxious, we can call on our God for the grace to do what we know is the right thing and He will provide it. Although it’s easy for us to become preoccupied with avoiding evil and protecting our children from it in the form of media and peers, we can know that our God will deliver us from evil. Why? The power for homeschool parents to lead lives worthy of our calling does not come from us but from Him. We have only to ask for it and believe that we have it. We remember that the glory for smart, polite, talented children belongs to Him alone. We pray that we would ever remember how weak we are and how great He is. We believe what we just prayed and we ask the Lord to help our unbelief as we continue to pray. Consider praying the Lord’s prayer with your children and talk with them about how the prayer applies to our homeschools. These are powerful words that grow our faith. My thanks to our sponsor KiwiCo for supporting The Homeschool Sanity Show. Remember to go to: http://kiwico.com/homeschool to register for your kit by paying shipping only. If you would like to read a copy of my commentary on the Lord’s prayer, go to homeschoolsanity.com/Lordsprayer for the link. If you know a homeschooling friend who could use some encouragement, share this episode with her.